Revel in relaxation when you visit Residence Inn San Antonio Airport/Alamo Heights. After soaring into San Antonio International Airport, only a half mile away, take a moment to rejuvenate in our revitalized lobby. Meet up with friends there before setting out to explore the hot spots nearby such as North Star Mall and Alamo Quarry Market. 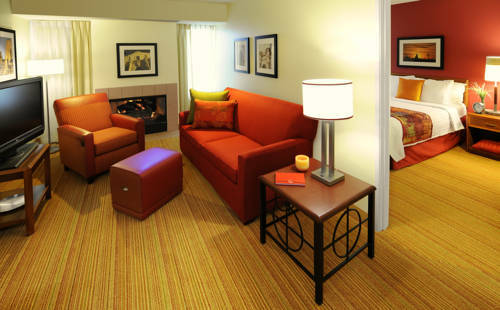 Return to your extended-stay suite to finish some work tasks using our ergonomic workstation and free Wi-Fi. Afterwards, fuel up with a delicious meal you made using your suite's fully equipped kitchen. If you aren't in the mood to show off your cooking skills, stop by our free breakfast buffet for a wide selection of hearty and healthy options. Those looking to stay active during their stay near Alamo Heights can do so using the cardio equipment and free weights offered at our fitness center, open 24 hours. Our hotel also features a sparkling outdoor pool. Regardless of what brings you to town, feel right at home at Residence Inn San Antonio Airport/Alamo Heights.